A couple months ago, my students began using Google Drive and it has transformed the way we work in our classroom. I keep asking myself, why didn't I set them up with Google Drive sooner?? It has lifted the level of motivation and collaboration among students. Writing Workshop: We are planning and drafting on Google Drive by using laptops daily. Since we are using Google Drive for our writing pieces, students are able to share their writing with writing partners and other classmates they want feedback from to help them as a writer. They also share their writing with me each day so I can leave comments and read their writing daily to help inform my future instruction. I have noticed that since students are able to view my comments on their classmates' writing, their own comments and the feedback they give their writing partners has greatly improved. 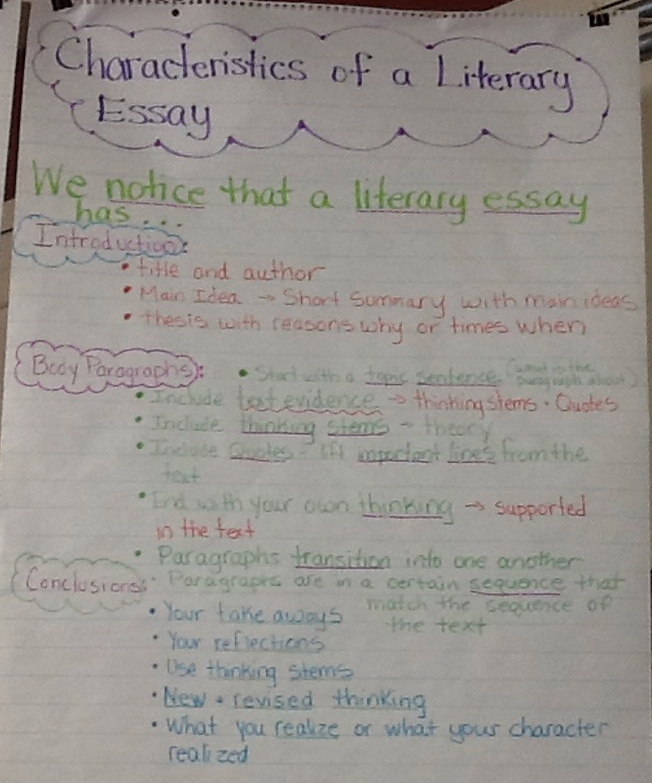 Writing Workshop: As part of our current literary essay unit, we wrote a class literary essay using Google Drive. The students loved being able to all work on one document at the same time and co-author it together - it was so cool to hear their excitement about the experience! Reading Workshop: At the end of each chapter book read aloud, we always have a whole class conversation and I type up the transcript of their conversation on the Smartboard so they can build upon one another's thinking and can work on lifting the level of their interpretation. One of my students had the great idea this week to type the conversation in Google Drive instead of a word document so we can continue the conversation at home and during the week - it was an awesome idea! The students were so excited to be able to keep the conversation going - yay! Writing and Reading Workshop: I share different documents with the students during workshop teaching such as mentor texts, lists of thinking stems, planning sheets, and so on. This week, I set up a group on Google Drive that includes all of my students so now I'm able to easily share documents with the whole class with one push of a button. The students actually asked me to begin sharing these documents with them via Google Drive so they can have access to them whenever they need them and not have to worry about whether or not they left it at school or have misplace it. 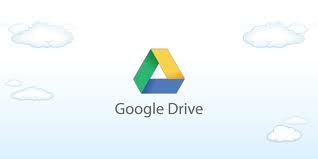 Stay tuned to hear more about how we are using Google Drive as learners in our classroom! Every week, I look forward to the posts that are linked to Teachmentortexts.com because I find some of my favorite books through this wonderful system of sharing. Thanks to Jen Vincent and Kellee Moye for creating and hosting this wonderful Monday tradition! I had some time to spend in the town library while I was waiting for one of my daughters and I walked out with a pile of books that have been on my TBR list for a while. Thank you to all who have been recommending Bear Has A Story to Tell by Philip Stead. What a wonderful book! I loved how important it was for Bear to tell his story and finally how important it was for all of his friends to hear his story. I also appreciated the messages of empathy and kindness that exist within this book. This is one that I may have to purchase and share with anyone who will borrow it! Since many of our classes are beginning or in the middle of fictional/narrative writing units, I loved Zoe Gets Ready by Bethanie Murguia. An important lesson for young writers is that writing topics exist in their world within the daily moments, struggles, and decisions of their days. Since thinking of stories can be so difficult for young writers, Zoe's challenge with deciding what to wear could really be inspiring to many students--such a simple, but common, problem that children can relate to! I highly recommend Zoe Gets Ready as a mentor text for teaching focus and plot development to writers. I also loved A Secret Keeps by Marsha Wilson Chall for teaching focus. In this story, a little boy goes to visit his grandparents and has to uncover a secret that his grandfather has for him. While the boy's activities cover many of the farm activities, he remains focused on the secret in a charming and effective way. The language and the rhythm also offers many opportunities for mentoring young writers across several grades. How to Babysit a Grandpa by Jean Reagan would be a great mentor text for students learning to write "All About" or "How to" books, since there are instructions and bulleted lists on almost every page. This book is another resource for teaching students that sometimes they have more in their bag of writing topics than they think they do! 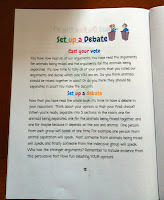 Most of you have already read and recommended Babymouse books by Jennifer L. Holm and Matthew Holm so I finally read two of those over the weekend and I have to say that Babymouse Rockstar and Babymouse for President were both funny and entertaining to both me and my 10 year-old daughter. I was happily surprised at how much I enjoyed these books so thanks to all of you for the recommendations. I'm keeping my fingers crossed for a couple of my 2012 favorites to win Newbery honors today and I thank all of you for helping me keep my TBR pile so stacked with wonderful books. To read my first post in this Close Reading and Literary Essay series, click here. Each time we begin a new type of writing in writing workshop, we immerse ourselves in a whole class inquiry that allows us to read and discuss, "What do we notice about this type of writing? What are the characteristics of this type of writing?" I provide students with a few examples in a packet titled, "Mentors for......" and give students time to read a couple of the mentor writing pieces with their writing partner. As they read, they annotate them to keep track of what they notice about the structure, craft, and elements of the type of writing. At least one of the mentors, included in their inquiry, is a writing piece I have written and will use during our mini-lessons. The other mentors, are written by former students (I always keep student work examples for everything each year - great visuals to use as examples!) Once students read a couple examples and mark them up with what they notice, we come together as a whole class to mark up one of my mentors to label what we notice about the structure and parts of the writing piece. Below is a mentor literary essay that I wrote using Table Where Rich People Sit by Byrd Baylor. We have used this mentor throughout our mini-lessons this week and continued to add to our annotations as we noticed more about the structure and elements of writing a literary essay. 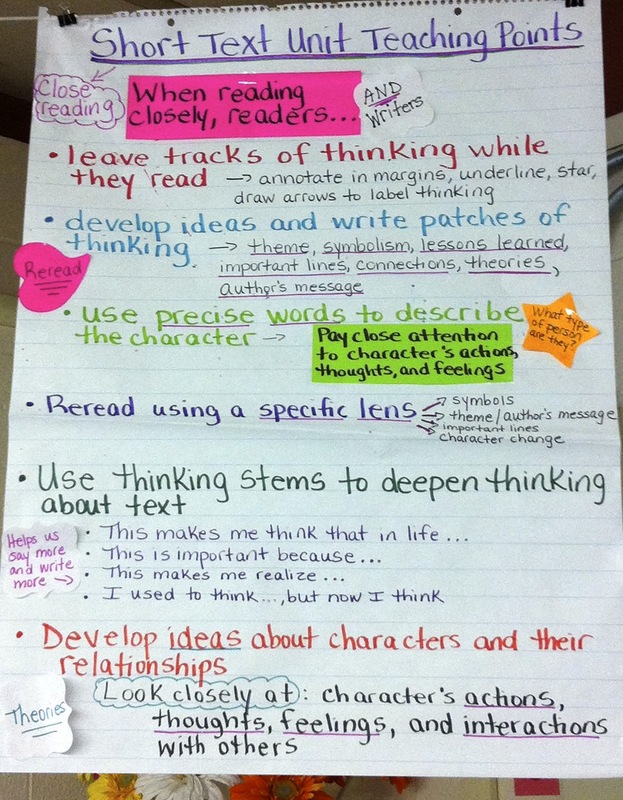 This is our chart we created as a class after reading literary essay mentors during our whole class inquiry. We have also added onto this chart throughout the week as we noticed and learned more about writing literary essays during our mini-lessons. 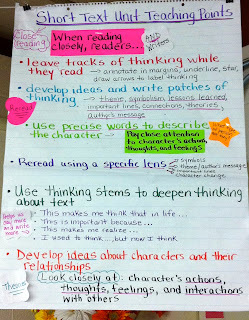 Currently, we are in our Close Reading unit in reading workshop and Literary Essay unit in writing workshop. 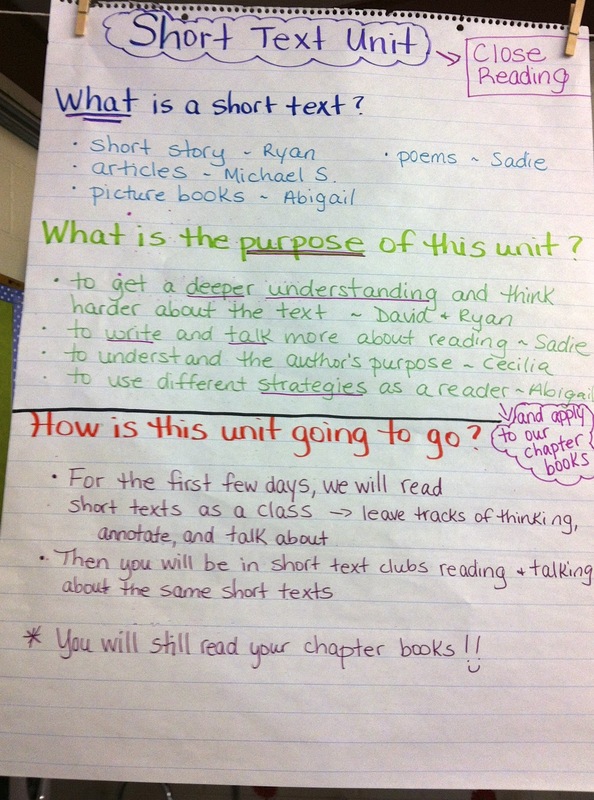 The two units are integrated and students are writing about the texts they are reading closely. This is one of my favorite units because it teaches students strategies for close reading which deepen their comprehension, lift the level of their interpretation of texts, and strengthen their conversations and writing about reading. 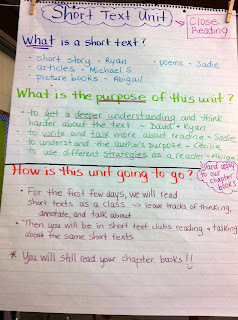 Each time we begin a new unit, we always discuss its purpose and how it is going to help us as readers and/or writers. Below is a chart we created during our first mini-lesson when discussing the purpose of the unit. For each unit, we also keep track of all of our teaching points for each mini-lesson so we can continue to refer to them, use the chart as a resource during independent reading/writing, and build upon our learning. It is a great visual for students to see all the skills and strategies they have learned and are practicing as readers and writers. Below is our first chart we have created with our teaching points - we are on our 2nd chart now of teaching points. As students are reading short texts closely, they have been leaving tracks of thinking in the margins and writing patches of thinking in their writer's notebooks. These tracks and patches focus on interpreting the text by analyzing the author's message, symbolism, important lines, character change, theme, theories, and so on. A few students created this visual below for their classmates to use as a resource as they are working independently to remind them of the different ways they can interpret the text and lift the level of their thinking. I always love having students share and display their work so they can learn from one another. Below are two bulletin boards our class created to showcase our patches of thinking for the short texts we have read aloud and discussed in class as well as their independent short texts they have read during independent reading. For many students, one of the hardest aspects of narrative writing is maintaining focus. I have written other posts suggesting several constraints that teachers can put on student writing in order to help them maintain focus. Limiting the number of characters, the number of scenes, and the length of time the story covers all help to keep students focused on what the story is really about. 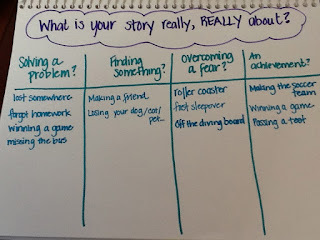 Last week, I worked with some struggling fourth grade writers. They were all having a hard time coming up with topics so we sat down with a piece of chart paper and began listing ideas for stories. Within the topic of a baseball game, we listed hitting the ball, catching the ball, losing a seat, dropping a hotdog, going to the bathroom, missing a final important play, and striking out a final batter. When we talked about the local amusement park, we had stories about winning a prize, going on the scary roller coaster, eating a batch of fried dough, dropping an ice cream cone, and getting separated from a family. A few years ago, I attended a writing workshop at the Highlights Foundation with Sandy Asher and one of the most important take-aways for me was that everything in a story or novel should drive the action forward. With this chart in place, then the concept of relevant details and events that drive the story forward seems so much more tangible and teachable. If the story is really, REALLY about getting lost and finding your family at an amusement park, then all of the action, details and dialogue should move the story toward the finding-the-family resolution. I think that if students understood that there aren't too many big ideas that a plot-driven story can REALLY be about, then the executive processing and planning component becomes simpler for all levels of writers. 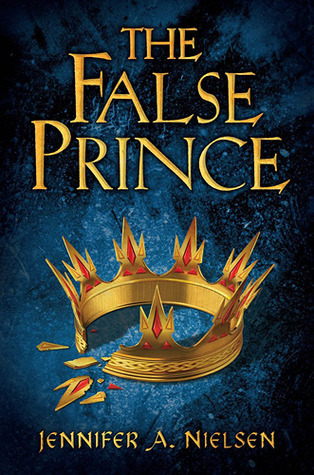 When I read the False Prince by Jennifer A. Nielsen in July, I was immediately hooked on the trilogy and could not wait for book #2 to be published. I recommended it to everyone and got my 5th graders hooked on it at the beginning of the school year. 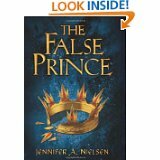 In September, I was conferring with a student who was reading the False Prince and both of us were curious to find out when book 2 would be out so we tweeted Jennifer Nielsen for the details. Our class was so excited to hear that the title of book 2 was The Runaway King and that it would come out in March. We have been counting down the days since September to read The Runaway King. 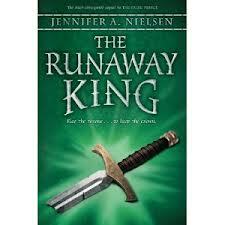 Needless to say, I was super excited to get a copy of The Runaway King via NetGalley to read this past weekend. I sat in my favorite chair and could not put it down - I loved it! Just like The False Prince, there are many twists and turns that will keep you on the edge of your seat. It is full of action, loyalty, betrayal, bravery, and new alliances. I am normally not a fantasy reader, but am hooked on this trilogy and now can not wait for book 3 to come out. I wish there were more than just three books in this series because it makes me sad there is only one more book left in this trilogy. The publication date for The Runaway King is March 1st - we have it marked on our calendar in our classroom and the kids are anxiously awaiting its arrival! If you have not started reading this trilogy yet, I highly recommend that you add it to the top of your TBR stack and enjoy it soon! Peer observation is a powerful and helpful learning tool that provides learners with a clear visual. Personally, I am a visual learner so it always helps me to "see" it instead of solely listening or reading about what I am trying to learn or strengthen/improve. Since I am a visual learner myself, I tend to naturally include interactive modeling, visuals, charts, and peer observation within my teaching in our classroom. I always notice that when students see what it is supposed to look like and sound like, they usually rise up to the expectations and lift the level of their work. Just like it is powerful for classmates to observe and learn from one another, it is equally as powerful for teachers to observe their colleagues and learn from and with one another. In our school, it is the norm for teachers to visit one another's classrooms to observe a mini-lesson, read aloud, or small group instruction. This year, there is a new teacher on our grade level team so we have opened our classroom to her anytime she finds it helpful to come in and observe. One day, instead of only the teacher coming in to observe read aloud, she brought her whole class with her. As the teacher observed me and noticed my modeling, questioning, and charting, her students observed my students. It was one of the most powerful learning experiences! When they came in, I spoke to her class for a couple minutes and set up the purpose for their visit by asking them to pay close attention to my students' actions and interactions during our read aloud. I invited them to walk around and see how students were using their reader's notebook and listen in to the students' conversations when they turned and talked during read aloud. At the end of read aloud, I paused and asked her students to share some of their noticings. They shared how they noticed students using colored pencils to color code their thinking in their reader's notebooks, how they were using thinking stems when they turned and talked, how they were using different strategies to write and talk about the read aloud, and more. I highly encourage and recommend teachers to try this out with a colleague because it is so powerful to have students observe one another across classrooms. I will definitely work with this teacher to set up more times for this kind of peer observation with one another as well as with our students. I would love to hear how you use peer observation in your classroom and school so please share! 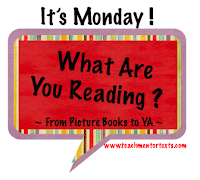 So many of my book recommendations come from teachmentortexts.com, a website that links many bloggers and lets us all share what we have read over the week. I appreciate our hosts, Jen and Kellee for all of their recommendations and for their great blog hospitality! One of the professional books I have been reading is Writing to Persuade by Karen Caine. 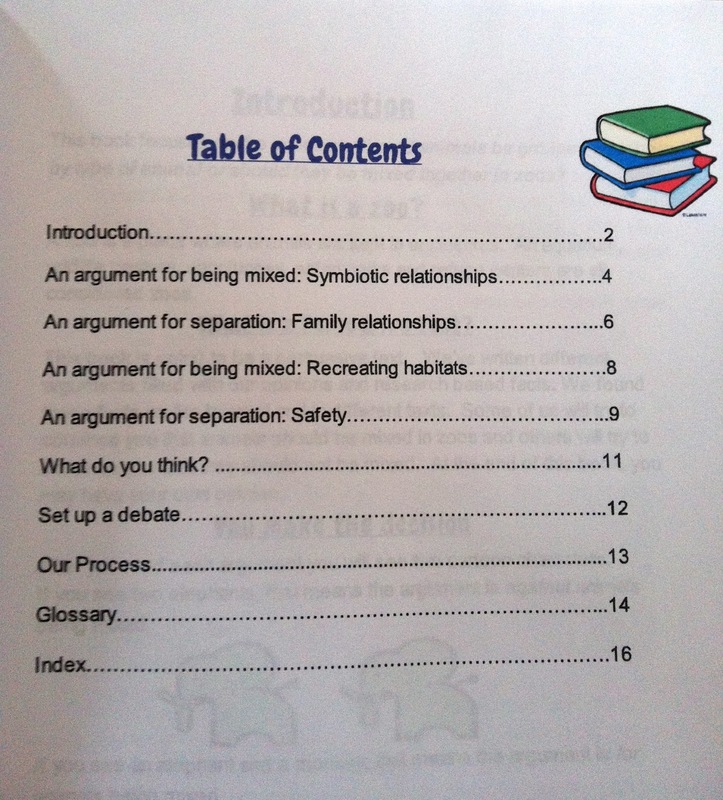 This book has specific mini-lessons that are designed to fit within a Writing Workshop model. Even though it was published a few years ago, the lessons and skills align to the Common Core State Standards. Karen Caine is incredibly generous with the reproducibles she includes within the book, as well as the writing samples that she collected for the appendix. Additionally, there are many ideas for charts for teachers to create within their classroom. I also finally got to The False Prince by Jennifer Nielsen. Thank you to all of you bloggers who have been recommending this book for several months. I am now in the company of all of you who are excited for the second book of the trilogy, The Runaway King, which is available now for pre-ordering. The False Prince is a book that definitely inspires re-reading and close reading since the plot is complicated with foreshadowing and surprises. 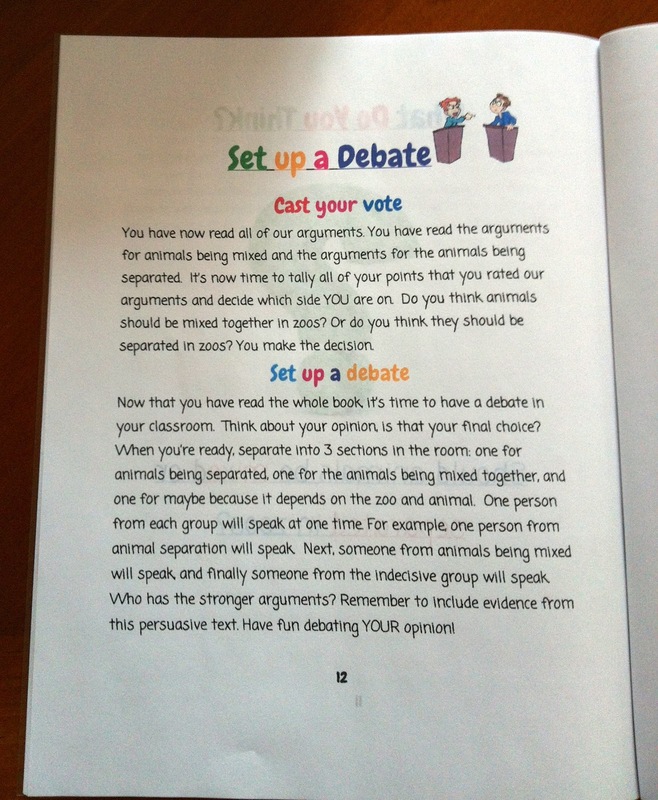 I could also envision powerful classroom debates about right and wrong and just and unjust consequences. I'm looking forward to a long weekend and all of your recommendations for next week! I vividly remember sitting in a parent meeting with one of our reading specialists, discussing a student who struggled with reading. "How much time does she spend reading?" our specialist asked. The parent avoided the question and our specialist pointed out that when people improve on musical instruments, it's because they practice. Basketball players get better at dribbling by spending time dribbling. Yesterday, in the driver's education class that I attended with my daughter (yes, this is a scary concept for me), the instructor stated that teens should spend over 100 hours practicing their driving before getting their license. Along with purpose and audience, an important component of the Writing Workshop at any grade is volume. By volume, I mean write a lot. And after they write a lot, write more. Just as learners need practice to improve reading, dribbling and driving, writers need practice to improve writing. I am not going to say that just writing alone will improve writing. Students also need coaching and exposure to strong mentor pieces. That way, they can see and hear strong writing and it is more likely that specific techniques will begin to show up in their own writing. So how can we increase the volume of writing that students produce? Always remember to teach the writer and not the writing. When we accept that the writing does not need to be perfect, we remove the pressure from students and they are more apt to write more. You might try encouraging less time planning. Sometimes, students spend more time on planning than on writing. Then, by the time they write, they are already sick of their piece. Planning should be inspirational and exciting to students so that they are chomping at the bit to begin their writing. Encourage different ways to plan that differentiate and celebrate learning styles. Verbalizing, sketching, and acting out are ways that work for some students, helping them to visualize their story to completion. 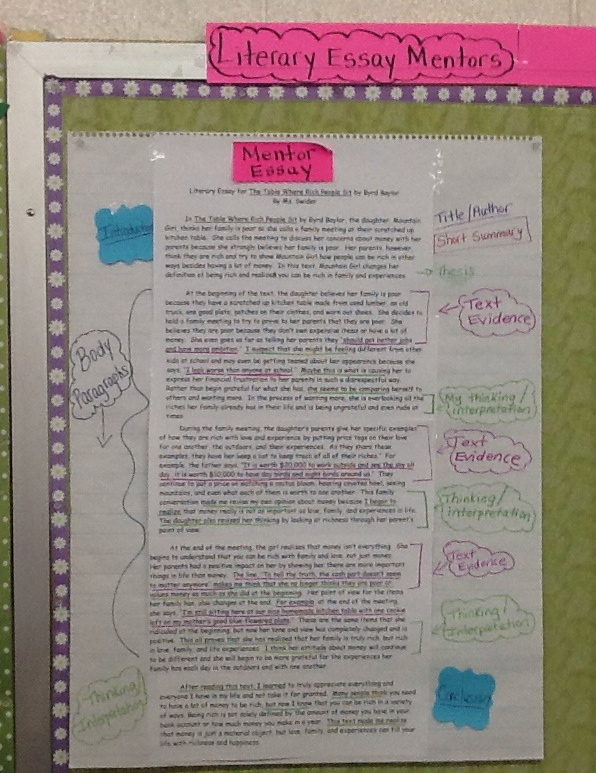 When students write, you can see how they plan and help them organize and revise that piece or the next piece. Students should work through the writing process several times in a unit. Challenge students to try out new strategies in the piece that they are currently working on or in pieces that they have previously written. That way, they get more practice and yes, they write more. For younger students, accept that sometimes they can't read their writing. A great question to come back to for these students is: "What did you want to say on this page." The more that they feel like they are competent story-tellers, the more competent they will become at story-telling. For reluctant writers, let them talk about strategies that they could use in past, present, or future pieces. Talking about what they could do may propel them to try those strategies in future writing. Use specific pieces to grow specific strategies. Not all skills are going to show up in every piece. Think of every piece as a coaching opportunity. Encourage older students to try out strategies in their notebooks. They should be revising as part of the writing process and not just as an-end-of-the-piece step. Accept that not every piece has to be completed. Some pieces are for experimenting and trying new strategies. Take time to celebrate the milestones that involve application of new skills and techniques and not just the finished "perfect" product. 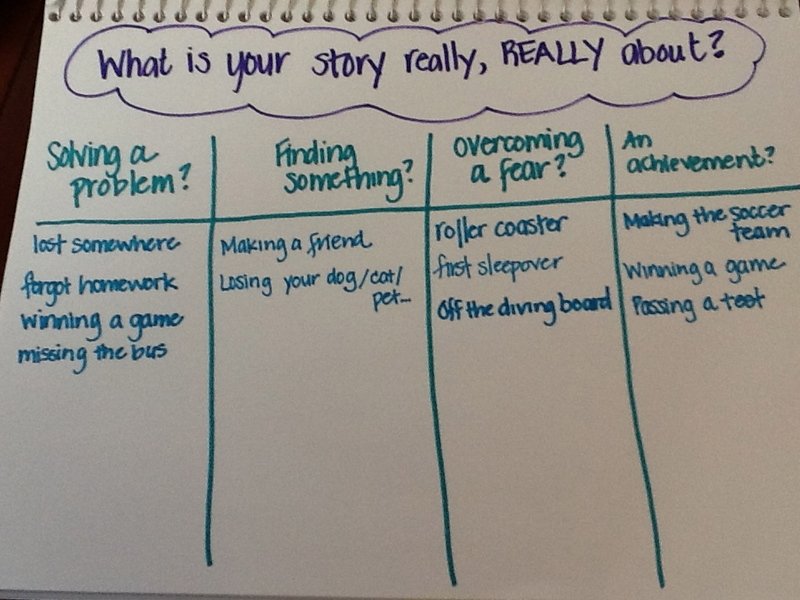 Teach students how they can generate and spin stories from stories. I can't tell you how many drafts I have read (and written) that have multiple stories within them. One story leads to another leads to another. Make sure that your students know what they can do when they need to have a conference--they can revisit drafts, begin new pieces, or study mentor texts for inspiration. Those 35-45 minutes of workshop time are precious writing minutes. Find parts of their writing to LOVE. Nothing generates excitement about writing as much as appreciation OF writing. Find ways to say "I love this part!" and mean it. Did I say LOVE their writing? Right. LOVE their writing! Please share other ideas that you have! My last post was about the importance of audience for all writers and when I thought about this post, I struggled to separate my thoughts about audience and my thoughts about purpose. 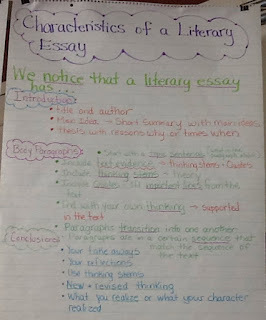 Melanie's recent post shared some of the work that students have been doing to present their non-fiction research and she taught them about the reasons for writing. It's so important that students understand that we can write to entertain, to persuade, and to inform. These standards are consistent throughout grades K-12, clearly establishing writing purpose for American classrooms. When we help students understand the big questions of why are we learning this and why is what we are learning important, these purposes provide answers for them. When we are teaching a narrative unit, we are teaching students to entertain with their writing. Regardless of who the audience is, the responsibility of the writer is to entertain. Perhaps, our young writers will choose to include a moral or lesson in to their narrative and perhaps they will filter in some information. However, the main reason for narrative writing is entertainment. We can certainly remind students of all of the books that we read because we enjoy a good story. Another purpose for writing is to inform. Sometimes we read to learn about something and sometimes we write in order to teach about something. Finally, the Standards emphasize the importance of writing to persuade. When we think about what we read, some of the most powerful writing we read falls into this category. How important for students to realize that they can change how others think with their writing! I think that the more that we can empower them with the understanding of this purpose, the more effective our instruction can be. 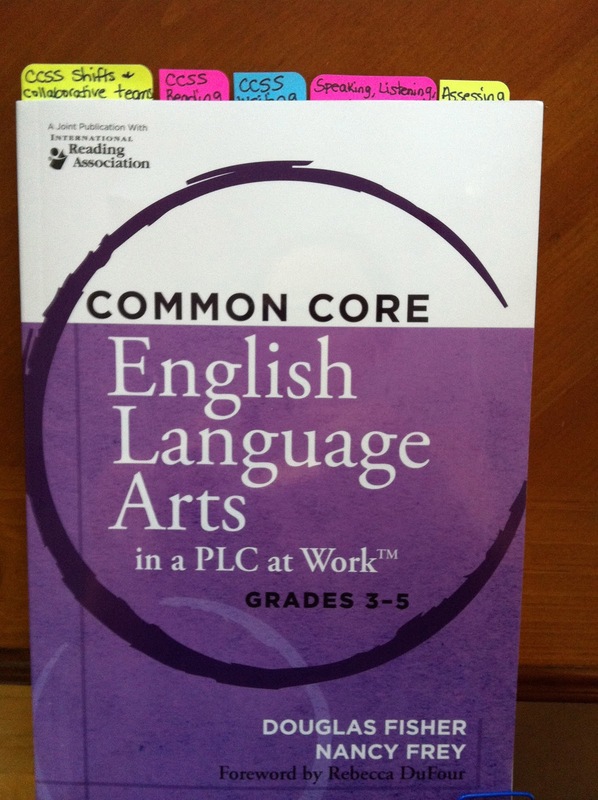 I loved reading Common Core English Language Arts in a PLC at Work Grades 3-5 by Douglas Fisher and Nancy Frey and I highly recommend it! 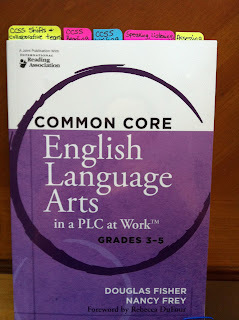 It is a fairly easy read and provides you with a deeper understanding of the CCSS in English language arts as well as practical ways to discuss and process the standards with your colleagues during PLC. The text is structured in a reader-friendly format and each chapter hones in on a specific strand addressed in the CCSS. I also loved the guiding questions embedded throughout the text, that we can ask ourselves during PLC's, as we roll up our sleeves and deepen our understanding of the standards. Over the weekend, I also read Notice & Note: Strategies for Close Reading by Kylene Beers and Robert E. Probst. This week, we are starting our Short Text and Literary Essay unit in reading and writing workshop so was excited to see this newly published text on close reading that was just published this month. Throughout the text, Kylene Beers and Robert Probst share six "signposts" they model and teach students to help them deepen their understanding and thinking while closely reading texts. The six signposts are significant moments in the text that cause the reader to pause, notice, and reflect on thinking. Contrast and Contradictions - places where the character acts "out of character" or in a way we don't expect them to act. Kylene Beers and Robert Probst share that the six signposts and anchor questions in the text can be reworded by the teacher and/or class. 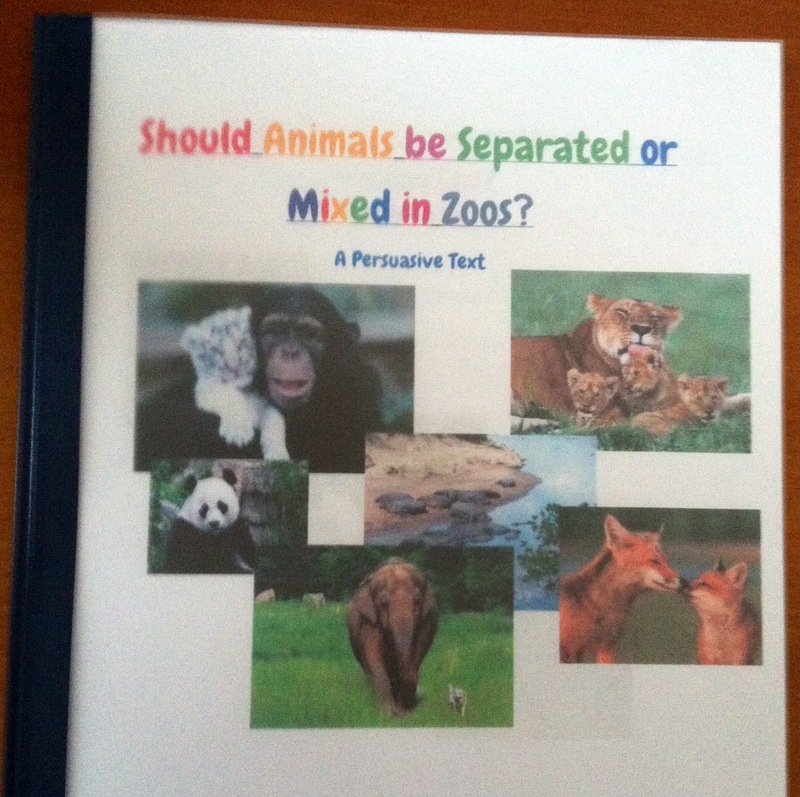 In the text, they share sample lessons and strategies to teach students to help them internalize these signposts and strengthen their comprehension and close reading skills. 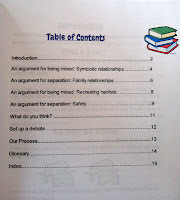 According to Beers and Probst, the more students noticed these signposts, the more they were using the comprehension skills: visualizing, predicting, summarizing, questioning, inferring, and making connections (p.69). During our upcoming unit on close reading, I am going to introduce, model, and teach these signposts but will most likely tweak the wording a little to make it our own in our classroom. Thursday is usually our technology day. Today, I am going to write ironically and share my coaching tool that is the antithesis of technology. At this time, my most useful coaching tool is my chart notebook, pictured below. I think that the most technological aspect of my notebook is the different colored sharpies that I use in it! I have been using this notebook to collect charts to support writers across grades K-6 in all units. I have collected the charts from various places. Sometimes, I take a picture of a chart I like and want to share in a classroom. Then, when I have time, I copy it into my book. I have also copied charts from Pinterest if I have liked them. Whenever I read a curriculum document, I have my bag of sharpies open and a clean notebook page because I construct charts as I envision the units. Since this is my first year as the Writing Coordinator, this is the first year that I have used this tool and when I make another book of charts, I will do it differently and I hope a little better. If anyone decides to try starting a chart notebook, you might benefit from my mistakes and reflections. In any case, here are some of my thoughts. I like having sections for various grade levels. The divisions of K-1, 2-3, 3-4, and 5-6 worked well for me. I like using many different colors. I keep all of my sharpies in a ziploc bag and my husband knew to buy me more for Christmas. I like having the spiral bound pages since I have pulled a couple of the charts out when I didn't like them. I wish that I had created sections within the grade levels for specific types of writing; informational, narrative, and persuasive sections would have served me well and would make it easier to find the chart I'm looking for! I wish that I had a section that was for all grades. Writing partnerships would be one that I'd consider non-grade-specific. Why We Write is another chart that I'd consider to be universal. I wish that I had made sections for grammar and editing. I think that I would try tucking these into the sections for designated grades since the skills and expectations change. I made some of the charts really fancy, spending a long time on the drawings. I wish I hadn't because I want the message to be that charts are to be created in real time as tools for students to use and not as classroom decoration. 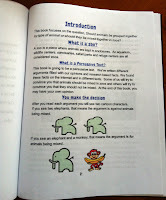 When I share my chart notebook with teachers, they usually ask for copies of pages and I am happy to give them out. I have also taken pictures of all of the pages and have created boards on Pinterest. (Okay, we get some credit for staying true to Technology Thursdays :) ) However, I try hard to emphasize that my charts are prototypes and they are only examples of what teachers can make with their students as they teach. I really don't want people to replicate the chart I give them and hang it on a wall because I want the students to feel like they own it, a feeling that they get when they help to create the chart. That way, students understand the purpose of the chart and are much more apt to refer to them and use them as tools for independence. The Friday before our winter break, we celebrated the culmination of our nonfiction reading and research unit. It was time for the mini-research clubs to teach others what they learned through their research and to share their new thinking with their classmates. As Melanie shared in her previous post, audience is so important to writers. It is equally important that writers know what their purpose is for their writing - is it to persuade, inform, or entertain? Prior to working on their presentation, the mini-research clubs met to decide their purpose and audience. They had to think about: What do we want the reader to think, feel, and know? Who will be reading, listening to, or viewing our research presentation and findings? Once students identified their purpose and audience, they decided how they wanted to present their research and share their new thinking and learning with others. Write an informational text, using one of our hybrid nonfiction read alouds as a mentor, to teach the reader how global warming is effecting polar bears in the Arctic. This club used One Tiny Turtle by Nicola Davies as their mentor text. 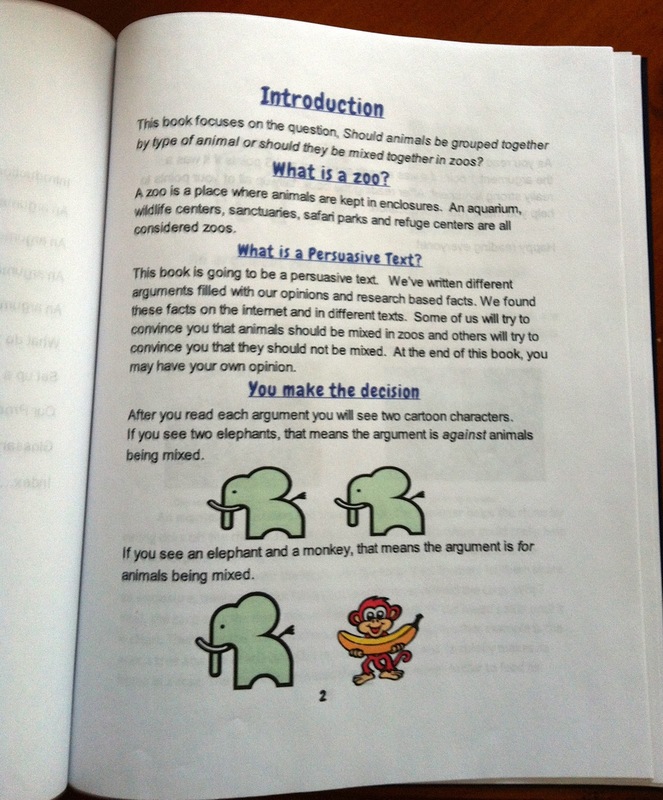 Write an argument text showing both points of views about whether or not elephants should be entertainers. This group adamantly believed that they should NOT be used as entertainers, but they still argued the other side because they wanted to teach the reader and let them develop their own opinion at the end. 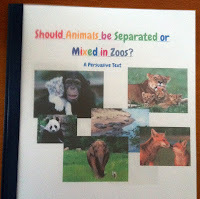 This club used Should there be Zoos as their mentor text. One group chose to create an Animoto video to teach their audience that chocolate milk is indeed healthy for children and should not be banned from school cafeterias. They used photos, comparisons, and statistics in their Animoto to help prove their argument. The clubs became very passionate about their research throughout the process and voluntarily stayed in for recess to work on their projects, call resources to acquire more information, and collaborate with one another using Google Drive. Students were deeply engaged in this research because they had choice, a purpose, and an audience. Those are three critical components to increase student engagement - they wanted to work on this research!